L’ouvrage est accessible en édition électronique sur Springer Link. 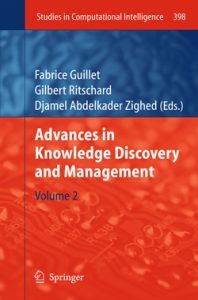 During the last decade, Knowledge Discovery and Management (KDM or, in French, EGC for Extraction et Gestion des connaissances) has been an intensive and fruitful research topic in the French-speaking scientific community. 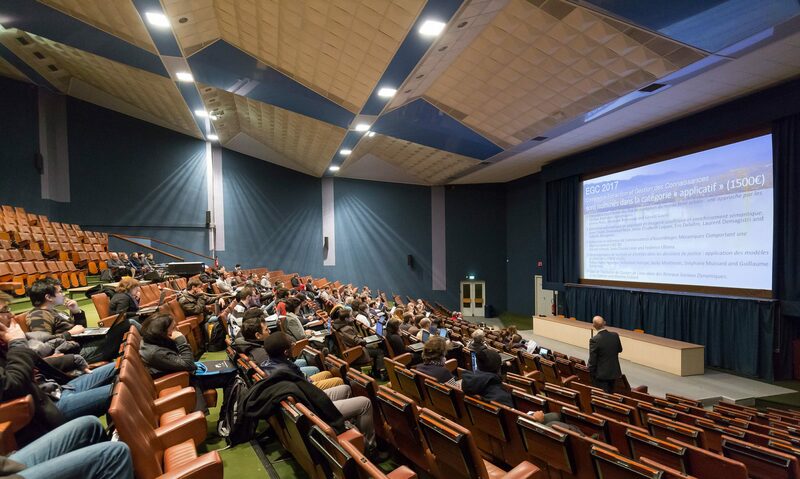 In 2003, this enthusiasm for KDM led to the foundation of a specific French-speaking association, called EGC, dedicated to supporting and promoting this topic. More precisely, KDM is concerned with the interface between knowledge and data such as, among other things, Data Mining, Knowledge Discovery, Business Intelligence, Knowledge Engineering and Semantic Web. The recent and novel research contributions collected in this book are extended and reworked versions of a selection of the best papers that were originally presented in French at the EGC 2010 Conference held in Tunis, Tunisia in January 2010. The volume is organized in three parts. Part I includes four chapters concerned with various aspects of Data Cube and Ontology-based representations. Part II is composed of four chapters concerned with Efficient Pattern Mining issues, while in Part III the last four chapters address Data Preprocessing and Information Retrieval.